Adeeba Malik was awarded the honour by HRH the Prince of Wales during an investiture ceremony at Buckingham Palace today. Mrs Malik, who began her career as a teacher in Bradford and Hull, is said to have dedicated her professional life to creating opportunity in the face of prejudice. Over the years, she has worked as deputy CEO of the Bradford-based charity QED, as well as roles with Yorkshire Forward, British Waterways, and the Women and Work Commission. 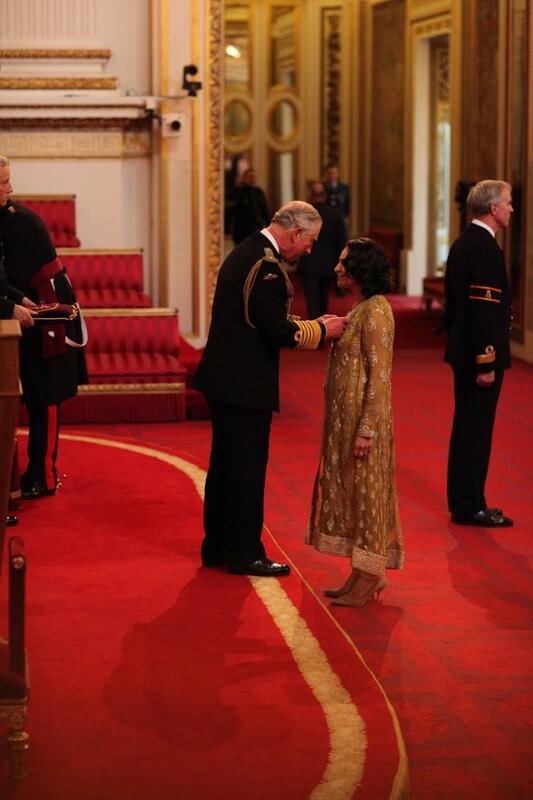 She was awarded an MBE for services to ethnic minorities in 2004, and was one of only two Muslims in England to be given a CBE in the 2015 Honours List. "When I first heard about the honour it was a complete shock," she said. "I was humbled too. I hope it inspires others. I came from a working class background growing up in Bradford and educated at local schools. "There’s a long way to go around equality and opportunity, but I hope this award shows what can be achieved. "I fundamentally believe that if we can get the economic and social integration right in our communities then that will make a huge difference."